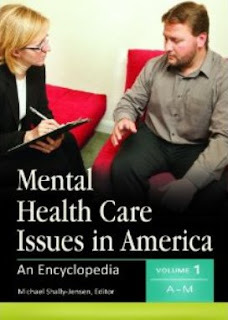 I have a chapter in a new book: Mental Health Care Issues in America: An Encyclopedia. It is edited by Michael Shally-Jensen and published by ABC-CLIO. My chapter is on psychotherapy integration (of different theories and techniques). It is found in Volume 2, pages 627-635. In an earlier post Words that Work, I discussed the idea from political consultant and polster Frank Luntz that “It’s not what you say, it’s what people hear.” This blog has also discussed in detail how talking to one’s family about dysfunctional patterns requires just the right type of wording and tone of voice. Disclaimers can be used to alter listeners’ perceptions about what another person is saying. They can be very helpful in making something that otherwise might be perceived as an attack or accusation much more palatable. It is also true that disclaimers can be used in for more nefarious purposes, such as in deceptive propaganda. I wrote about this latter purpose in two previous posts on plausible deniability - 8/31/11 and 6/19/12. In this post I will focus on the use of disclaimers for doing good– their advantageous employment in discussions that aim to achieve solutions to ongoing problems within a family. As a psychotherapist, I find them to be very useful with my patients, and I also coach my patients on how to use then when they attempt metacommunication with family members. Disclaimers are pre-statements that acknowledge the potentially unpleasant nature of an issue at hand, proclaim the lack of any ill intent on the part of the the person making the statement that follows the disclaimer, and give others the benefit of the doubt concerning their motivation for engaging in problematic behavior. Disclaimers can also be used to avoid power struggles that tend to occur when someone might be perceived as sounding like a know-it-all or like someone trying to “put one over” on the other person. Disclaimers can make it possible to bring up for discussion just about anything. Of course, tone of voice is extremely important. If someone is trying to bring up problematic family behavior with other members of the family, a scolding or sarcastic tone will automatically nullify any advantage conferred through the use of disclaimers. Usually, tone should be matter of fact as well as friendly sounding for maximum effect. 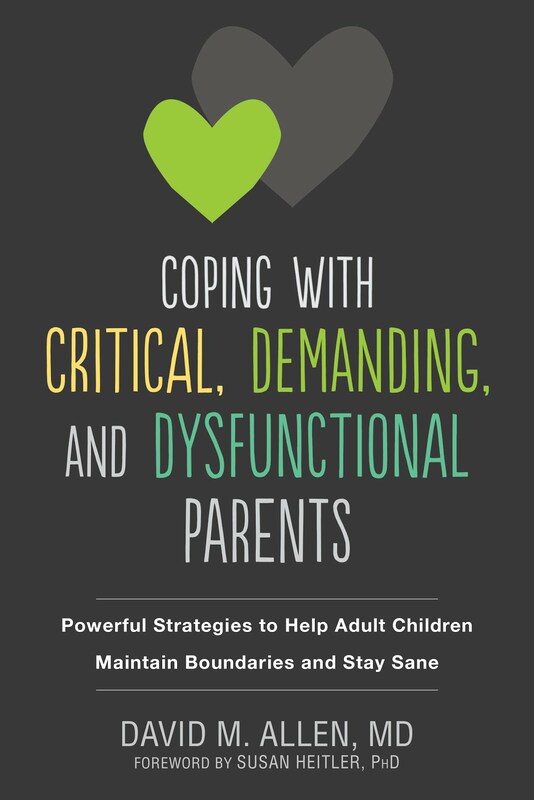 In the type of psychotherapy I do, unified therapy, I frequently need to bring up and explore a patient’s problematic or counterproductive behavior, or describe potentially unflattering hypotheses about the patient’s family relationship patterns. Patients have a natural tendency to become defensive in these situations, and a therapist runs the risk of provoking a negative reaction of some sort. The use of a disclaimer often makes the initiation of such discussions more palatable to the patient. When making interpretations regarding a patient or his or her family, the therapist’s use of disclaimers leads the patient to become less likely to get defensive and more likely to consider the merits of the therapist’s proposition. Later on in unified therapy, therapists teach patients to make use of disclaimers during metacommunication with their family about relationship patterns and issues. Disclaimers can be used in innumerable ways. A few examples will be given here of the types of situations in which disclaimers are useful. The examples are also meant to give the reader a general idea about how disclaimers should be phrased. Fifth, many times a metacommunicator has an hypothesis about what might be going on in the family, but is not sure. However, the Other may take umbrage at the implications of such a hypothesis. This happens for many reasons, including that the possibility that the hypothesis in question is flat out wrong. Giving the other an “out” so that he or she can easily reject the proposal without getting into an argument can solve this problem. One can say, “I don’t know if this is accurate or not, but I wonder if [such and such] might be happening. What do you think? Last, metacommunicators should also make use of disclaimers when explaining their thoughts and reactions to significant others. This is part and parcel of the important strategy of giving family members the benefit of the doubt as to their motivation when asking them to be aware of and change behavior that the metacommunicator finds problematic. Of course, disclaimers do not always have the desired effect, but they do often enough that employing them is an excellent strategy. Alexander Sebastian Campanis (1916 –1998) was an American executive in Major League Baseball. He had a brief Major League career, playing for both the Brooklyn Dodgers and the Montreal Royals, the Dodgers' minor-league team. Campanis is most famous for his position as general manager of the Los Angeles Dodgers from 1968 to 1987, from which he was fired on April 6, 1987 as a result of controversial remarks regarding Blacks in baseball during an interview on Nightline. The odd thing about Al Campanis, a white man of Greek descent, was that nobody who knew him ever thought he had a racist bone in his body. 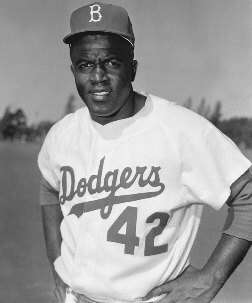 In fact, when Jackie Robinson famously broke the modern major league color barrier in 1947, Campanis, then a Brooklyn Dodger infielder, offered – repeatedly - to room with him. Campanis taught Robinson how to turn a double play to avoid spiking by the charging, Robinson-hating base runners. Throw the ball at the base runner's forehead, Campanis advised. Do that a couple times, he said, and goodbye, human javelins. Being the first Black player in major league baseball, Robinson faced a daunting challenge. He was subjected to a horrible barrage of the most vitriolic, vile, and vicious racist bile imaginable from fans and other players alike, but had to keep his cool so he would not get his whole race labeled as incapable of playing in the big leagues. According to Robert Kuwada, a sportwriter for the Orange County Register in Southern California, while in the minor leagues, “Campanis once threw down his glove during a game and challenged an opponent who was bullying Robinson. He was also known to invite Robinson to eat with him while many other whites chose to keep their distance." As a player development executive with the Dodgers, Campanis signed, among others, African-American stars Roberto Clemente, Willie Davis and Tommy Davis. 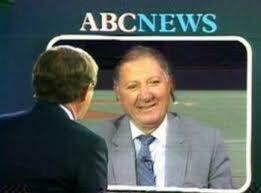 Ted Koppel, the interviewer, could not believe what he was hearing. He kept giving Campanis the chance to clarify what he was saying, but Campanis seemed to keep digging himself into a deeper and deeper hole. Here’s most of the interview (watch it at http://www.youtube.com/watch?v=O4XUbENGaiY). KOPPEL: Mr. Campanis, it's a legitimate question. You're an old friend of Jackie Robinson's, but it's a tough question for you. You're still in baseball. Why is it that there are no black managers, no black general managers, no black owners? 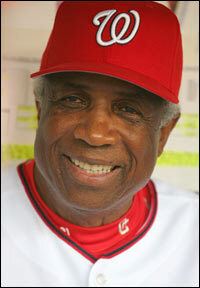 CAMPANIS: Well, Mr. Koppel, there have been some black managers, but I really can't answer that question directly. The only thing I can say is that you have to pay your dues when you become a manager. Generally, you have to go to minor leagues. There's not very much pay involved, and some of the better known black players have been able to get into other fields and make a pretty good living in that way. KOPPEL: Yeah, but you know in your heart of hearts -- and we're going to take a break for a commercial -- you know that that's a lot of baloney. I mean, there are a lot of black players, there are a lot of great black baseball men who would dearly love to be in managerial positions, and I guess what I'm really asking you is to, you know, peel it away a little bit. Just tell me, why you think it is. Is there still that much prejudice in baseball today? CAMPANIS: No, I don't believe it's prejudice. I truly believe that they may not have some of the necessities to be, let's say, a field manager, or perhaps a general manager. KOPPEL: Do you really believe that? CAMPANIS: Well, I don't say that all of them, but they certainly are short. How many quarterbacks do you have? How many pitchers do you have that are black? KOPPEL: Yeah, but I mean, I gotta tell you, that sounds like the same kind of garbage we were hearing 40 years ago about players, when they were saying, ''Aah, not really -- not really cut out --" Remember the days, you know, hit a black football player in the knees, and you know, no --" That really sounds like garbage, if -- if you'll forgive me for saying so." CAMPANIS: No, it's not -- it's not garbage, Mr. Koppel, because I played on a college team, and the center fielder was black, and the backfield at NYU, with a fullback who was black, never knew the difference, whether he was black or white, we were teammates. So, it just might just be -- why are black men, or black people, not good swimmers? Because they don't have the buoyancy. KOPPEL: Oh, I don't -- I don't -- it may just be that they don't have access to all the country clubs and the pools. But I'll tell you what, let's take a break, and we'll continue our discussion in a moment. CAMPANIS: Well, I don't have the crystal ball, Mr. Koppel, but I can only tell you that I think we're progressing very well in the game of baseball. We have not stopped the black man from becoming an executive. They also have to have the desire, just as Jackie Robinson had the desire to become an outstanding ballplayer. KOPPEL: Just as a matter of curiosity, Mr. Campanis, what is the percentage now of black ballplayers, for example, in your franchise? CAMPANIS: I would say, I think Roger mentioned the fact that about a third of the players are black. That might be a pretty good number, and deservedly so, because they are outstanding athletes. They are gifted with great musculature and various other things, they're fleet of foot, and this is why there are a lot of black major league ballplayers. Now, as far as having the background to become club presidents, or presidents of a bank, I don't know. But I do know when I look at a black ballplayer, I am looking at him physically and whether he has the mental approach to play in the big leagues. Wow. Naturally a national uproar ensued, and Campanis was of course fired from his job almost immediately after the interview. Everyone was talking about how horrible a racist the man was. Except for everyone who knew him. They just could not believe the man could have possibly meant was he was saying. It seemed so totally out of character. So what happened here? I surely could not blame anyone, Black folks especially, for assuming the worst about Mr. Campanis. I certainly did at the time of the interview. That is, until I read a somewhat cryptic interview on the subject by one of the few African-Americans in baseball who actually was a manager – Frank (not Jackie, no relation) Robinson. Q: Why haven't blacks been able to break the management color barrier? A: Because we haven't been in the position either to do the hiring or to say, "Hire me or else." Blacks haven't put pressure on baseball. So baseball says, "If we don't have to give you a job, we won't." Part of this is our fault. You talk to some black players and they say, "I'm a happy man. I'm making a good living. Why should I stick my neck out?" You talk to people outside the game, and they say, "I don't want to be bothered." Q: Why don't more black players speak out? A: Speaking up could be damaging. Someone will get buried. The ownership might think, "He's mouthing off. Who needs him?" I won't say that today they could blackball a great player. But they could make it tough for him. At the end of his career, he might not get to play those extra years if they feel he's a troublemaker. While Robinson did not exactly defend Campanis, he did not exactly attack him either. But what was that bit about Blacks not “sticking our necks out?” What does that mean exactly, and what does it have to do with Campanis? Well of course I can only speculate, but what I hear in the interview is an implication that African Americans may not have demonstrated to White baseball people the ambition, aptitude or inclination to be higher-ups in the organization. Why? Because just a couple of decades earlier, Black Americans who “stuck their necks out” by showing intelligence, ambition, or even moxie were labeled as “Uppity N….’s” and were in serious danger of they or their families being attacked or even lynched. If you had these qualities, it was very wise to hide them from any Whites in the area. You just could not trust them, even if they seemed to be your friends. So call me naïve if you will, or hate me if you think I am someone who appears to defend a racist, but maybe, just maybe: Campanis did not think Blacks had the capacities he spoke of because he never saw any black players demonstrate them, just as Frank Robinson was alluding to. Therefore, he had nothing with which to compare the stereotypes about Blacks to which he had undoubtedly been exposed his whole life. Maybe , just maybe, Campanis appeared to be more of a racist than he was because he was stuck in a game without end with his Black friends. On January 7, Medscape reported, "The American Psychiatric Association (APA) has fired back a strong response to a recent article in theWashington Post questioning the possibility of pharmaceutical industry influence on decisions regarding the upcoming fifth edition of the Diagnostic and Statistical Manual of Mental Disorders (DSM-5)." David Kupfer, MD, chair of the DSM-5 Task Force, said in a news release, "While speculation is bound to occur, we think it is important to stay focused on the fact that APA has gone to great lengths to ensure that DSM-5 and APA's clinical practice guidelines are free from bias." 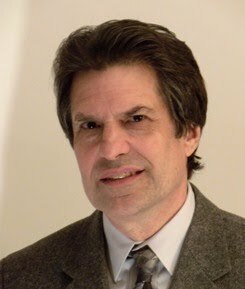 In his news release, in which he defended the policies regarding conflict of interest in the members of the different groups that were working on the DSM -5, published in the Psychiatric Times, he stated“… all individuals agreed that, starting in 2007 and continuing for the duration of each individual member’s work on DSM-5, that individual’s total annual income derived from industry sources (excluding unrestricted research grants) [italics mine] would not exceed $10,000 in any calendar year, and he or she would not hold stock or shares of a pharmaceutical or device company valued at more than $50,000." So nothing to worry about? No conflict of interest here? If the drug companies are supporting the research of an "expert," how is that not financial influence? Most of these experts are academics; if they do not get funding, they often cannot keep their jobs! 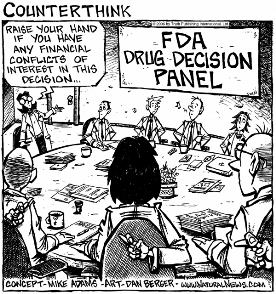 Depending on Pharma for your income is hazardous to your objectivity. This very sly loophole in disclosure and conflict-of-interest rules has also been exploited by some Pharma-funded researchers who label themselves as “unpaid consultants” in the “disclosures” attached to journal articles. For example, “…the author of the Grand Rounds in JAMA [Journal of the American Medical Association] discloses that she receives funding "through research grants to her university" from Pfizer, for which, she also discloses, she "has served as an unpaid consultant." In other words, what the “unpaid” part merely means is that she wasn’t paid directly for work done for the company. The money was funneled to her indirectly through research grants and other monies given to her employer, the university. But back to the DSM workgroups. New definitions of psychiatric disorders can provide a financial windfall for a drug company, which suddenly has a whole new group of customers defined as having the disorders for which their drugs are indicated. So of course they do anything they can to influence these definitions in ways that feed their bottom line. This strategy is part of a two-pronged attack that influences clinicians without the drug companies appearing to have had any involvement at all. Covertly, they are pulling strings behind the scenes. The second part of the attack comes through the production of treatment guidelines, which are published by various professional organizations. (I touched on this in my post about PTSD treatment guidelines about guidelines that prohibit a class of drugs effective in panic disorder with no mention being made of the widespread co-occurrence of panic disorder in PTSD sufferers). ■ Guidelines written by the National Kidney Foundation and sponsored by the drugmaker Amgen effectively raised the recommended doses of the company’s drug. Those higher dosing targets are now considered unsafe. Eleven of the 16 members of the panel that approved the guidelines were found to have financial connections from the affected drug makers — they reported receiving consultant pay, speaker fees or research funds, according to a published paper by Daniel Coyne, a professor of medicine at Washington University. ■ An analysis last year of 17 guidelines used in cardiology indicated that 56 percent of members of work groups reported a conflict of interest, according to an investigation published in the Archives of Internal Medicine. A related study showed that about half of the treatment guidelines in cardiology were based on doctors’ opinions rather than more substantial evidence. ■ An international conference on early breast cancer that was issuing guidelines expressed a preference for a group of expensive proprietary drugs that appear to be no better than others in terms of patient survival. Twenty-four of 43 members on the panel, including both chairs, had financial ties to the makers of the proprietary drugs, according to a published account by Päivi Hietanen, the medical editor of the Finnish Medical Journal." In the never ending effort to con the world in general, and physicians in particular, into thinking that most inattentive and rambunctious children and adults have a neurobiological disease, a Dr. Samuele Cortese and his colleagues presented yet another MRI study that they allege shows that children and adults who have been diagnosed with ADHD have abnormalities in their brains. Dr. Cortese is listed as a consultant for Shire Pharmacueticals, a major manufacturer of stimulant drugs for “ADHD.” Or as some might say in ordinary language, Shire is a drug dealing syndicate. One of the most egregious examples of same, at that. Shire’s interests are served by having the largest number of people taking their “legal” amphetamines as possible, while also spreading the word that their competition, “illegal” amphetamines, are dangerous and highly abused drugs. No effort, or only a half-baked one, is made in these studies to differentiate acting out from other possible causes for the patient’s hyperactive behavior or difficulties in maintaining focus. The new study, published in the issue of the American Journal of Psychiatry, proves the following point beyond a shadow of a doubt: people who are not paying good attention to a particular task in which they are engaged exhibit less activity in those brain centers involved in paying attention to tasks than people who are paying strong attention. Wow. Who’d’a thunk it? And as we all know, any difference simply must be an abnormality. In fact, the study says absolutely nothing about whether these research subjects cannot pay attention or simply are not paying attention. 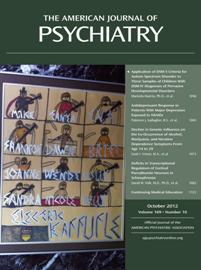 The study in question (Cortese et al, “Toward Systems Neuroscience of ADHD: A Meta-Analysis of 55 fMRI Studies,” Am J Psychiatry 2012; 169:1038-1055) combines statistics from 55 different studies of ADHD, many of which use very different diagnostic “tests” which are merely symptom report lists and pay little attention to the pervasiveness of the symptoms, let alone the psychosocial context in which the symptoms take place. Here are the results. Hypoactivation is a term meaning that the affected part of the brain is less active, on average, than it might be in a comparison subject. Of course, how active such a brain part might depends strongly on the motivations of the particular subjects. (This is analogous to the results of IQ tests, which are biased against those people who don’t give a damn about how well they do on the test). Hyperactivation means the opposite. Surely, whether more or less activity in a region of the brain is pathological is entirely pre-supposed by the authors without any valid justification. It is basically a value judgment. “Fifty-five studies were included (39 for children and 16 for adults). In children, hypoactivation in ADHD relative to comparison subjects was observed mostly in systems involved in executive function (frontoparietal network) and at­tention (ventral attentional network). Sig­nificant hyperactivation in ADHD relative to comparison subjects was observed predominantly in the default, ventral at­tention, and somatomotor networks. In adults, ADHD-related hypoactivation was predominant in the frontoparietal system, while ADHD-related hyperactivation was present in the visual, dorsal attention, and default networks. SignificantADHD-related dysfunction largely reflected task features and was detected even in the absence of comorbid mental disorders or a history of stimulant treatment. The studies being "meta-analyzed" are designed on purpose to make it appear that normal differences mean something other than their just being normal differences. Let us look at the distribution of how strongly people “pay attention” to boring tasks to which they have no particular motivation to do well (other than their desire to be co-operative with an experimenter). Most of the tasks during which brain activity is measured are, let’s face it, at least somewhat uninteresting. 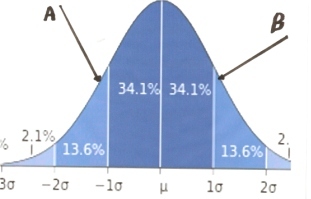 This distribution, like almost everything else in nature, will look like a bell-shaped curve, or what is called normal distribution. We don’t even have to invoke the fact that some people may habitually pay less attention to most activities because they might be compulsively and habitually playing a role ["unambitious"] within their family of origin that allows them to get labeled as having ADHD. 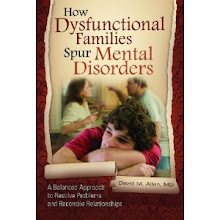 The self report instruments and diagnostic interviews through which a diagnosis of ADHD is made will, in effect, sort the patients so that those labeled with ADHD will fall, on average, at point A on the bell shaped curve in the figure above. Since those individuals will then be taken out of the pool of study subjects, those that remain will have an above average tendency to pay attention to boring tasks – their average will be at point B in the diagram. Everything else being equal, the “ADHD” subjects and the control control subjects could all be completely normal, and the study result would be identical to a study in which a real disease were being studied! The authors have no way of knowing which of these possibilities their study is demonstrating. They do not clearly acknowledge the above considerations as a weakness of the study, although they do concede, “fMRI data cannot define an absolute or quantitative baseline of activation…” (p. 1053). That disclaimer is added to give the authors plausible deniability, and will of course be completely ignored by readers if it is noticed at all. The authors start their discussion of their results with the sentence, “ADHD is increasingly being conceived of as a disorder underpinned by dysfunctions in multiple large scale brain networks.” Yeah, because of pseudo-scientific conclusions made from a multiplicity of studies done the way this one was.